A 11-YEAR-OLD boy has been charged with reckless conduct endangering life, criminal damage and discharging a missile after he threw a 12kg rock from an highway overpass that smashed the windscreen of an oncoming truck. The boy, from Melton West, Victoria, faced the Children's Court on November 30 and two of his friends, one aged 11 and the other 12, were also arrested but later released without charge. 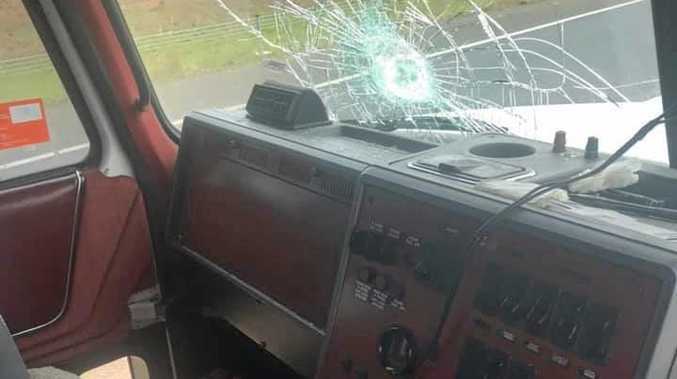 Driver Andrew Martin, who narrowly escaped with his life after the children threw the rocks at his truck, said he was "counting his lucky stars it was not any worse" than the smashed windscreen. 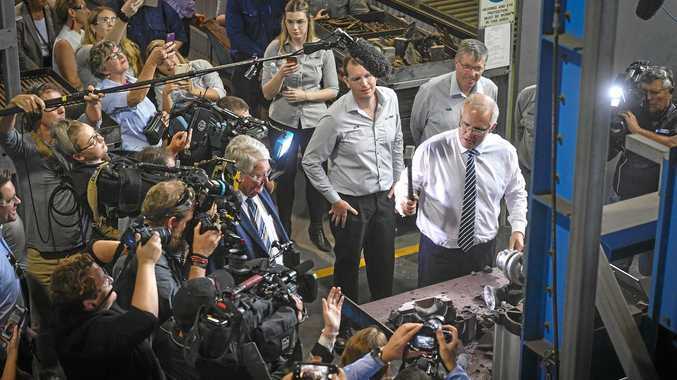 "I was dumbfounded, I thought you don't expect it to happen to you, I was in a bit of shock, you could see how far into the glass it went," he told Big Rigs. "Luckily it wasn't on the driver's side." He said he didn't know what would make the children decide that throwing rocks off the bridge would ever be okay. "I don't know what would make you (do that)," he said. "People's lives are in danger, it's not even a sick game, it's beyond that. It's unbelievable how far they're willing to go to inflict harm on people. They probably thought it was all fun and games, they didn't realise how severe it could be if they actually killed someone." Andrew, who appeared on Sunrise, said he hoped the issue gained more attention. "We want to spread the word that we're not going to tolerate any more of this crap that's going on," he said. "It's our lives and livelihood we're putting at risk. We're just going out about our day and we're not going out to get killed."